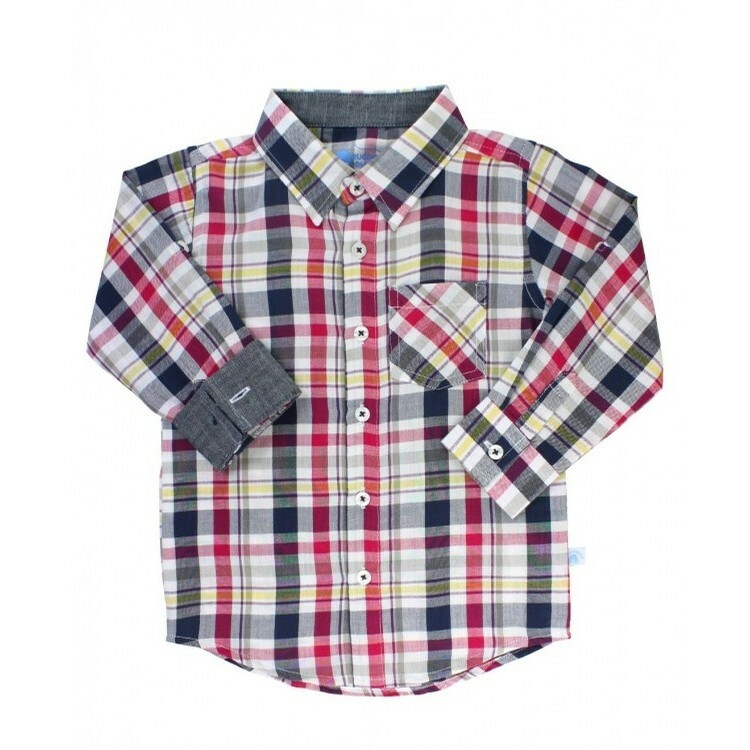 This plaid shirt will be a little boys' back-to-school favorite! The mix of colors in the plaid make it easy to mix and match with your favorite RuggedButts bottoms. Built-in button tabs allow the long sleeves to be rolled-up for a more laidback look.